Trained as a member of a U.S. Army rocket-artillery crew, Jason Poudrier once helped rearrange large swathes of terrain with high-explosives blasts. Now, he quietly crafts words and memories with a sharpshooter's precision. 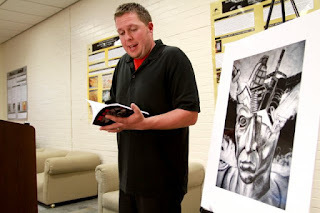 The 29-year-old veteran and Purple Heart recipient is now a high-school teacher of advanced-placement English in Lawton, Okla., a coach of cross-country and track teams, and a published poet who regularly explores and engages with military themes. Poudrier's work is full of darkness, heart, and humor. Reviewers often comment on his occasional references, for example, to Bugs Bunny cartoons. In one poem, he observes "I flipped a switch: / The rocket launched / and landed with an / Acme cartoon cloud." In other, a character muses that he should've taken that left turn in Albuquerque. He's not necessarily making light of his experiences as a soldier, but he is making light with them. "I realized that not all war poetry has to involved these stark-death-dark images. I wouldn't want to read a book that was all that," he says. "There is inspiration in the military, too. Not to mention moments of great joy, more pure than anything else you'll ever experience. I want to do something with those moments, too." While some aspire to be poets, others have poetry thrust upon them. Having graduated from an Oregon high school in 2001, Poudrier joined the U.S. Army for the bonus and to see the world. He first trained and then was stationed in Oklahoma. From there, he deployed to Iraq in time to race toward Baghdad with Charlie Battery, 3rd Battalion, 13th Artillery Regiment. "As weird as it sounds, I feel lucky to have been there when I was," Poudrier says. "There was a clear enemy. We knew who were shooting at, and they were shooting at us." Artillery units that deployed later to Iraq, he notes, were often assigned non-artillery missions. He got to fire rockets. The Multiple Launch Rocket System (M.L.R.S.) on which Poudrier was a crew member is a long-armed weapon. In some cases, he says, they even had to drive away from Baghdad and back toward Kuwait, to get the minimum 7-mile distance their weapons system needed to breathe. The system can reach targets out to 190 miles. During Operation Iraqi Freedom, the crew jumped nearly every day in the desert, and slept on their trucks and tracks. Then, they got blown up. Poudrier lost both friends and flesh in the attack. Adding insult to injury months later, he would learn the attack was the result of friendly fire. A U.S. Air Force pilot had allegedly thought their missile launcher was an enemy anti-aircraft system. Poudrier had come back injured and angry, although unwilling or unable to realize the extent of his hurt. He had begun to think of they Army as a potential 20-year career, but found that his self-referral to mental health services had blocked a second deployment with this unit. A mentor helped get him lined up for a "Green to Gold" program, which would have resulted in a 4-year degree and an officer's commission, but that fell through, too. Poudrier decided that, if we wasn't able to go shoot rockets with this buddies, or continue his education while in the Army, he needed to fight for a medical discharge. "It's not what I wanted, but it was probably the best thing for me," he says. "There was a higher power looking over me. Because, the way I look at it, if I try to make something happen and it doesn't, then it was supposed to be something else. I was doing everything I could to stay in, and it wasn't happening." First enrolled as a business major, Poudrier found himself gravitating toward creative-writing classes in the English department. He struggled and sweated with military themes in longer-form prose, but found a useful and efficient tool in poetry. "Take a brief moment. Get as precise as you can on the details-the actions, the emotions, the smells," he says. "Suddenly, instead of this huge timeframe in narrative that I'd have with fiction or non-fiction, I just have this brief moment. I can work on it, and play with it, and stop working on it, and go back to it. It worked for me." 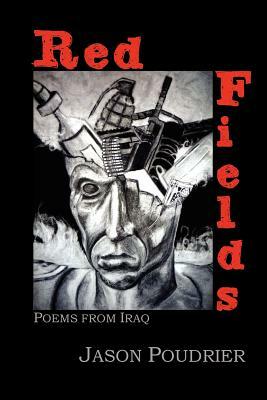 Earlier this year, Poudrier published a collection of poems titled "Red Fields: Poems from Iraq." He also presented seminars at the inaugural "Military Experience and the Arts Symposium" at Eastern Kentucky University, Kent. On Nov. 11 in Indianapolis, he will be reading as part of the Kurt Vonnegut Memorial Library's "Veterans Reclaim Armistice Day: Healing through the Humanities." 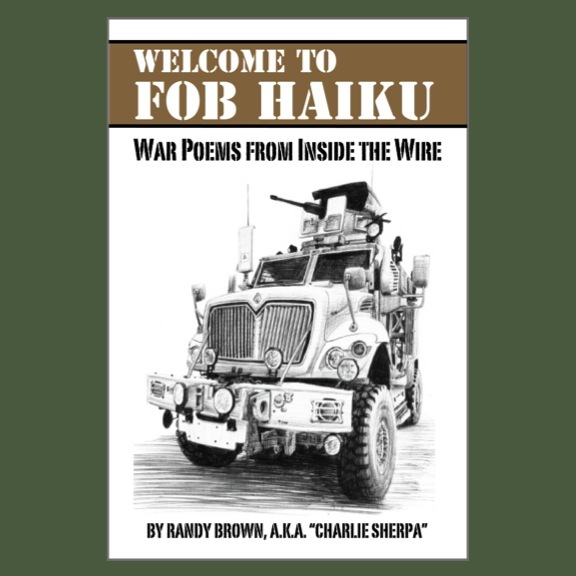 "Remembrances of Wars Past: A War Veterans Anthology"
"Proud to Be: Writing by American Warriors"
A sampler of three of Poudrier's poems—"Red Fields," "Bagdhad International," and "Fort Sill's New Housing Division"—also appear on the "Sugar Mule" literary magazine here. While everyone is different, Poudrier has found the writing of poetry useful in reconciling and resolving painful memories. "Part of PTSD is intrusive memories. You don't have control of them," he says. "You have a flashback, and all of a sudden it's coming in. You were driving down the road, now you're somewhere else and you have no idea how you got there." "To me, it was almost as if the memory were saying 'I do not want to be forgotten. I am something important that happened in your life'. The way I look at it is, if a poem is supposed this precise image--that's exactly what this intrusive memory is. I'm going to write that out—as is, not trying to put any poetic devices on it. I'm going to capture that image," he says. "I'm going to cognitively pull up that image that is being intrusive. Now, it's on a piece of paper. And I can choose to look at it when I chose. I'm not going to forget that memory. It has been recorded. But, now, instead of an intrusive memory, I have control of it." In Poudrier's opinion, there can be as much benefit in sharing and publishing a poem as in writing it. "One of the most healing moments is when ["Red Fields"] was selected to be published. What I think a lot of military writers don't get, particularly when they're writing but they're not seeing the therapeutic side of it, is writing itself is just half the process. The other half of the process is that it needs to be read by somebody. It needs to be communicated." As noted in previous Red Bull Rising blog posts, some veterans posts and military alumni groups seem to be in danger of dying off. Younger veterans don't come home to drink at the local watering holes, the thinking goes, and they certainly don't join bowling leagues like they once did . They've got families, friends, churches, school activities. They've got their own distractions, and their own problems. Who has time to get together for coffee, or even an annual reunion? Veterans organizations, military service groups, and alumni associations are all left fighting the same fight: How do they refit and reset to be relevant? How do they attract the veterans of today ... and tomorrow? The main effort of the 34th Infantry Division Association, for example, has long been a two-day annual reunion. The group celebrated its 65th such event earlier this year. Surviving World War II veterans shared some of their stories, and a few recent veterans of the 2-34th Brigade Combat Team (B.C.T.) deployment to Afghanistan offered unclassified retrospectives on some of their actions downrange. The national non-profit association's bylaws begin with this mission statement: "To foster and perpetuate the camaraderie of brothers-in-arms of those who have served with the 34th Infantry Division since its organization." The bylaws also call for the creation of exhibits in museums, opportunities for preservation of 34th Inf. Div. historical documents, and for funding skilled and trained librarians, historians, and lecturers. In other words, the association has before it a target-rich environment, multiple potential courses of action, and a mission-statement broad enough to flex and adapt to changes in the military, in society, and in its membership. Build a memorial. There's already a memorial to the 34th Inf. Div. 's WWII deaths located on Camp Dodge, Iowa. Also, the Camp Dodge chapel itself is a memorial to the division. What about a memorial to those who served and sacrificed in other conflicts? Locate it in a more accessible place, such as the Iowa Veterans Cemetery or Minnesota State Veterans Cemetery. Start a traveling memorial or display. In nine states, Nebraska-based Bellevue University has underwritten traveling "Remembering Our Fallen" displays. Each panel depicts a U.S. service member who has died from wounds suffered in a war zone since Sept. 11, 2001. On a smaller scale, the 34th Inf. Div. Association could develop similar displays interpreting its 95-year organizational history in an accessible, portable way. Such displays could not only help remember those who have fallen, but also help people understand the role of the "Red Bull" in Italy and Iraq, Africa and Afghanistan. Teach people to preserve their own histories, and those of others. Enlist family members, Eagle Scouts, and even veterans themselves to record and preserve their experiences in print, film, or audio recording. Conduct workshops on the techniques and formats that should be used for submission to archives. Help identify museums or other organizations that are eager to accept such histories. Publish yearbooks, documentaries, anthologies, and/or histories. Glenville State College's West Virginia Veterans' Legacy Project, for example, collected interviews, photos, and other information from veterans in preparing a television documentary and companion coffee-table book. Outfit and encourage historical re-enactors. A California-based group regularly re-enacts World War II-era units, including the Japanese-American 100th Battalion and 442nd Regimental Combat Team (442nd R.C.T. ), as well as the 34th Inf. Div. 's 133rd Infantry Regiment. The 100th Battalion and 442nd RCT fought as part of the 34th Inf. Div. for a period in World War II Italy. What about offering grants to "Red Bull" re-enactors, encouraging them to re-create for audiences the uniforms and equipment used from World War I to present day? Help put on a show. The Austin, Texas-based "Telling Project" is a national theatrical effort that stages performances by local veterans, who share with their communities their personal stories of military service and sacrifice. All eras and branches of military service are welcome. The November 2012 production of "Telling: Des Moines," underwritten by Des Moines Area Community College, features a number of "Red Bull" veterans and family members. There are other theater-based efforts out there as well. In New York, for example, a college course resulted in a performance titled "War Stories: Reading and Writing About the Impact of War." It was performed in April 2012, and again this month. JOHNSTON, Iowa – Red Bull soldiers and supporters gathered during the 34th Infantry Division Association’s 65th Annual Reunion hosted by the Des Moines, Iowa Chapter at the Stoney Creek Inn in Johnston, Iowa, Oct. 5-6, 2012. 2012-2013 association president and 34th Inf. Div. deputy commander for support, adjourns the 65th Annual Reunion. The association, originally established in 1946 shortly after World War II, was a grass-roots organization started by young men who fought together in North Africa, Tunsia, Anzio and other battlefields during the war. Through the years, Red Bull soldiers across the country have gathered annually to reminisce of old times with comrades sharing stories of their service to get a chuckle, or haunting stories of the battlefields on which they once fought. During Albrecht’s time as president, he worked to get today’s Red Bull generation interested in the association. Nearing the end of his own military service, Albrecht hopes the association can continue to serve our past and present Red Bull Soldiers. “This new generation needs to carry on the tradition,” said Albrecht. “The purpose of the association is to take care of Red Bull Soldiers: where they are, where they are going, how their families are. Many Soldiers get out and miss the camaraderie. That is where the association comes in, the Iraq war veteran explained. “This is another way for them to be a part of the military. It’s not about rank. It’s about us ... as soldiers,” he said. World War II Red Bull veteran, Ben Kroll, of Charles City, Iowa, shares the Red Bull pride with many reunion attendees. “So many divisions never had reunions, but not the 34th,” Krall said with a slight smirk as he reminisced of past reunions. Krall, who served as an ammunition truck driver in Company F, 2-133rd Infantry Regiment, said he was honored to wear the unit patch. Kroll served with many units throughout the war and even participated in the invasion of Italy, but his loyalty was always with the Red Bulls. Regrettably, World War II Red Bulls are becoming sparser at reunions. This year there were seven World War II veterans in attendance. The generation is becoming so sparse that the Tri-State Chapter of the association announced their deactivation during the reunion. The Tri-State Chapter, based out of Amsterdam, N.Y., served the Red Bull veterans located throughout the East Coast. Where one falls, another will pick up. During the association’s official business meeting, Minnesota National Guard Maj. Jason Burley, the 34th Inf. Div. public affairs officer, announced the establishment of the Commander’s Chapter, which is the first active chapter in Minnesota for nearly 20 years. 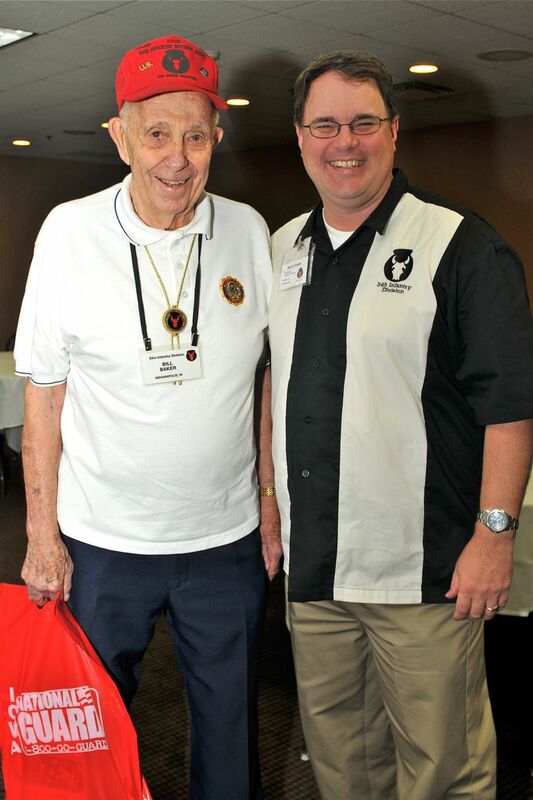 In addition to the establishment of the new chapter, Burley motioned the Commander’s Chapter to host the reunion scheduled for 2014. “The Minnesota Chapter of the 34th Inf. Div. Assoc. is very excited to be the host of the 2014 reunion,” Burley announced. “We are very much looking forward to providing a world class event and following the precedent set by the Des Moines chapter. 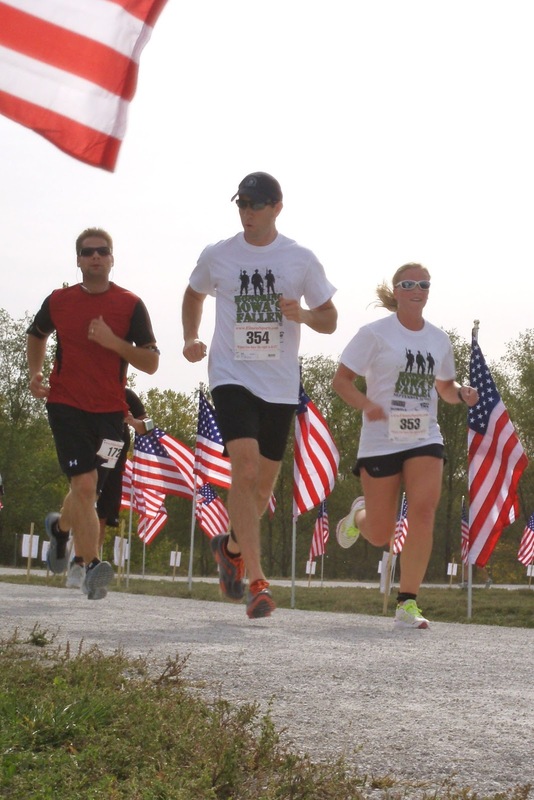 Red Bull soldiers and supporters nationwide are encouraged to participate in association activities in order to build camaraderie and support past and present members and their families. Individuals interested in becoming members can visit the association website to obtain registration materials. The 34th Infantry Division Association can also be found on Facebook here. For previous coverage of this event on the Red Bull Rising blog, click here and here. America has been at war for more than 10 years, but with less than 1 percent of the population serving in the military, the veterans among us go largely unseen. The actors and producers of "Telling: Des Moines" hope to change that. In their own words, veterans and military family members will tell their personal stories of service and sacrifice, ranging from the jungles of Vietnam and the mountains of Afghanistan to the departures gate of the Des Moines International Airport. "Telling: Des Moines" is an original and unforgettable theatre event not to be missed. Four of the seven cast members have past or present connection to the 34th Infantry "Red Bull" Division. All have connections to service in the Iowa National Guard. A World War II U.S. Navy veteran may also present his story at one or more performances. Thurs., Nov. 8 at 11:15 a.m.
Fri., Nov. 9 at 7 p.m. Sat., Nov. 10 at 7 p.m.
All performances will be at the Des Moines Area Community College (DMACC) campus in Ankeny, Iowa, in the auditorium located in Building No. 6. Tickets are FREE for DMACC students, faculty and staff, and $10 for the general public (cash only, please) and can be picked up in advance of the show at the Student Activities Office, Building No. 5, Room 27. Proceeds and donations will be used to offset production costs and to fund scholarships for veterans. For more information about the show, check out www.tellingdesmoines.org. For ticket information, call the DMACC Student Activities Offices at 515.964.6376., Monday through Thursday from 7:30 a.m. to 8 p.m. and Friday from 7:30 a.m. to 4 p.m. To make tax-deductible donations to the DMACC performance, contact Tara Connolly, DMACC Foundation, at: 515.964.6447. Des Moines Area Community College, a public institution serving the educational and career training needs of Iowans, is committed to the lifelong success of its students. As Iowa’s largest two-year college, DMACC offers 153 programs, certificates and transfer degrees, annually serving more than 75,000 credit and noncredit students on six campuses and in three learning centers. Thanks to college-wide innovation, new programs and affordable tuition, DMACC has experienced record growth and is the 15th fastest growing two-year college in America. For more information, please visit www.dmacc.edu. For directions to the DMACC Ankeny campus, click here. For a map of the DMACC Ankeny campus, click here. 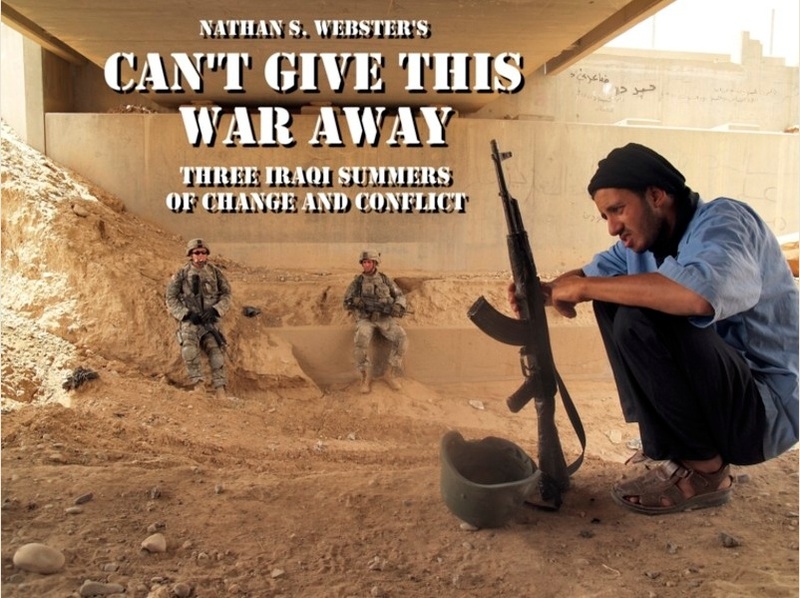 In 2007, Nathan Webster didn't tell his family he was going to Iraq. His brother, maybe. And the friend who drove him to the airport. He had recently broken up with his girlfriend, so that wasn't a problem. The way he tells it, the then-graduate student and former newspaper reporter practically tricked himself into embedding with the 82nd Airborne Division as a civilian photojournalist. "At no point, in my mind, did I ever admit to myself what I was doing," he says. "I'm just on this train. We'll just see if I stay on the whole way, or whether I get off. I never got off." 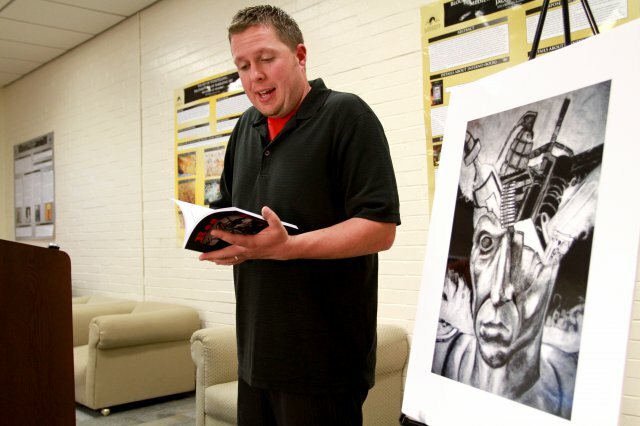 Webster had needed a thesis project for his Master of Fine Arts degree, and pitched to the U.S. Army the idea that he would embed for a month with a single company of paratroopers. There, he'd freelance stories for the hometown newspapers of the soldiers with whom he would live, eat, sweat, sleep, and patrol. He wasn't a stranger to military life. 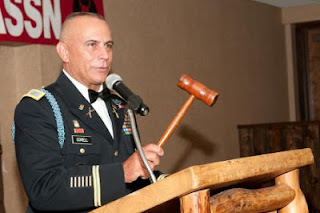 Back in 1991, he had been attached to the 82nd Airborne during Operation Desert Storm, an enlisted public affairs soldier tasked with collecting military history. He didn't have Airborne wings, but maybe the tenuous connection would get him somewhere. To his surprise, the division enthusiastically accepted his embed application. "Suddenly, I'm in Kuwait. And then I'm over Iraq. And I see the oil fields, and that's when I realized: I had done a terrible, terrible thing. What was I thinking? What have I done?" It wasn't a panic attack, he says. It was more of an existential crisis. "I call it 'pre-traumatic stress,'" he laughs. Waiting in Baghdad for a ride forward to the Bayji Joint Security Station (J.S.S. ), Webster says he even spent 12 hours bargaining with the airline to book an early ticket back. Luckily for us, that wasn't going to happen. He not only spent a couple of weeks with the Charlie Company, 1st Battalion, 505th Parachute Infantry Regiment (C/1-505th Inf. ), 82nd Airborne Division, but he embedded with them again in 2009. And, in 2008, he embedded with another unit—Alpha Company, 1-14th Infantry Regiment (A/1-14 Inf. ), 25th Infantry Division. Three summers of fun in the Iraqi sun, witnessing history from the dust up. Webster subsequently packaged his trips into a 163-page museum-quality book titled "Can't Give This War Away," a compilation of insights and pictures guaranteed to transport readers back to an earlier and different Iraq. It was, after all, the time of the "surge," a make-or-break time for U.S. involvement in that country. Whether or not the U.S. made it or broke it remains for historians to consider. Webster writes that he arrived at a timewhen the United States "meant to give the conflict back to the Iraqis, and bring U.S. soldiers home. Each new veteran’s war could then linger in their past. What a laugh. Nobody’s giving this war back to anyone. Not with so many debts to pay, soldiers to heal, memories to remember." Hussein’s been dead six months. Grudges are doing fine. Still, these are ‘patriotic’ Iraqis, who fight a foreign occupation of their country, much different than the foreign-financed Al Qaeda terrorists who prefer the vacuum of lawless chaos in which to extort, threaten, and kill. Chai tea comes around, served by young underlings working their way up the tribal power structure. Hard-looking Iraqi bodyguards, lazily toting AK-47 machineguns, share disdainful looks with the paratroopers. These are tough Iraqi fighters who absolutely traded fire with U.S. troops in the months past—but they’re also patriots to their nation, in their own way. Some U.S. soldiers didn't want to talk to him, Webster says. A few didn't even make eye contact the whole time he was there. He talked to others in simple, quiet conversations, just to pass the time. He also took photographs. Some of the soldiers' portraits look unworldly, as if they are divinely glowing in the heat. It is most likely perspiration. "What paper you work for?" Bishop asks me, changing his attention to somebody he can speak with, somebody new to break the monotony. "Freelance," which means nothing to him. I try to explain. "Like where you from?" Claremont, California, he says. "What’s your local paper?" I ask. "So I’ll call them when I get back, tell 'em I got photos and a story about you. Show people back home what you’re up to." The 'surge' of 2007 theoretically lets U.S. soldiers communicate more effectively with Iraqi residents, and work toward reconciliation and cooperation. Iraqi soldiers, like the half-dozen joining today’s mission, can work closely with the US, learning skills and improving capabilities. The Iraqis emulate the U.S. soldier's pre-brief approach, where officers and NCOs quickly go over the mission objectives with their soldiers before heading out. Crisply and quickly delivered, there aren’t many questions; the men listen, gear up and head out. The $85 book is available through a print-on-demand service Blurb.com here. Priced at a couple of dollars each, individual chapters are also available in the Kindle e-book format here. A Facebook page for the book is available here. 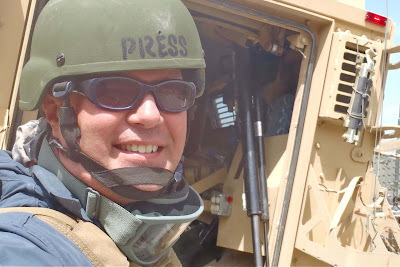 Now an adjunct instructor of journalism and creative writing at the University of New Hampshire-Manchester, Webster regularly blogs at War on Terror News (W.O.T.N.). His essays have twice appeared on the New York Times' "At War" blog in 2012. Another review of his work can be found here. Being a parent and uncle to a couple of grade-schoolers, I make regular patrols through toy stores, monitoring trends and prices, and maintaining a target list of potential birthday and holiday presents. Between Key Leader Engagements (K.L.E.) with Ken and Barbie, I also keep eyes out for new superhero gear and die-cast cars. I'm like a one-man Toy Terrain Team (T.T.T.). It's not all fun and games. The toys we make and buy for our children are part of our national narrative. When new military tools and technologies show up in miniature on our toy department shelves—Unmanned Aerial Vehicles (U.A.V. ), for example, or bomb-proof trucks—it says as much about our society's present-day values as it does our military tactics. To repurpose the old Army truism about training: "We play like we fight, and fight like we play." Toys are also likely points of entry to conversations with children about war and service. "Your dad used to ride in that kind of truck when he was in the Army," I've heard myself saying, or "Your papa used to fly in a plane like that when he was in the Air Force ..." Afghanistan and Vietnam are big abstractions, but toys can help young heads and hands understand some of the basics. Even if the only lesson they walk away with for now is "Dad was in the Army, Papa was in the Air Force." Matchbox has recently released a 1:64-scale version of the Oshkosh M-A.T.V. The word is an acronym within an acronym. Unpacked, it means "Mine-Resistant Ambush-Protected All-Terrain Vehicle." 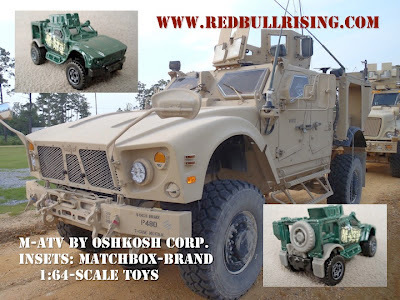 The real-world vehicle is manufactured by Oshkosh Corp., Oshkosh, Wis.
See also these previous blog-posts: "The Arsenal of Fun and Freedom"
and "The Boys Get More Toys"
The M-ATV is my probably second-favorite Mine-Resistant Ambush-Protected ("M-RAP") truck in the U.S. Army inventory. I've spent more time in the MaxxPro, manufactured by Navistar International. That's probably because the M-ATV design seats four, while the MaxxPro seats up to seven. Like some sort of military-grade mini-van, it's easier to throw the kids, embedded journalists, and other strap-hangers in the back of a MaxxPro. By comparison, the M-ATV is a sedan. It's hard to see out from the back seats, too, which makes it less fun for us rubber-neckers. 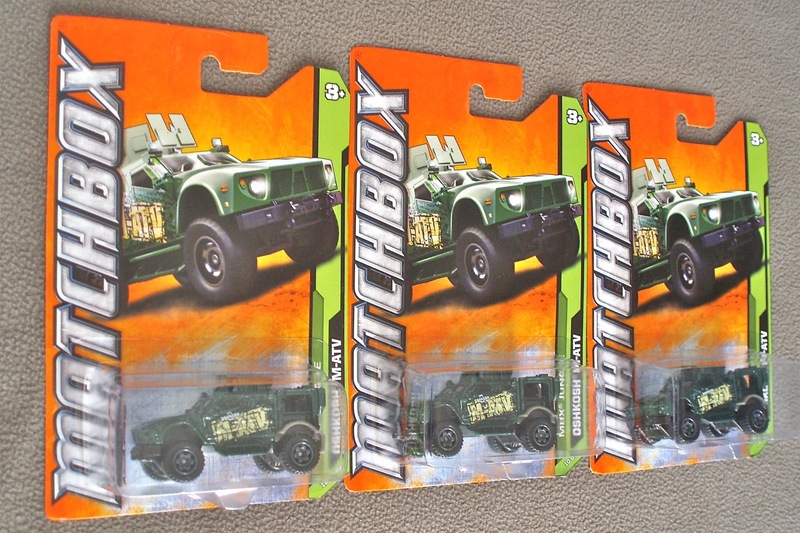 The 2012 Matchbox version of the M-ATV comes in dark forest green with a billboard-high graphic "M-ATV" decal on each side: Hip-hop camouflage for hot-rodding through the bomb-ridden swamp. It also appears to be "licensed" design, which means the toy's manufacturers have permission to make the scaled-down version look like the real thing. 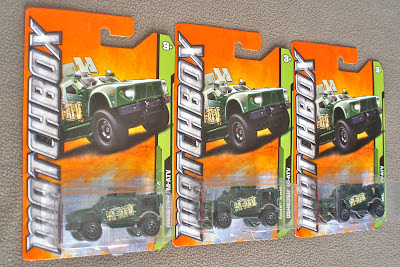 It's part of the Matchbox "Jungle" series, which includes a "Jungle Crawler,""Jeep Willys," and "Land Rover Defender 100." If you're traveling through marshy terrain, each of these other vehicles is probably more survivable than the 27.5-ton M-ATV. The M-ATV is lighter and more maneuverable than other M-RAP variants, after all, but it's not going to float. It's going to sink like a plate-armored rock. You've got to be extra tough to survive the Jungle! These off-road and 4WD vehicles are built to handle the most hostile terrain imaginable. Rugged safety vehicles scramble through the dense foliage protecting passengers from the fierce wildlife and extreme conditions! At least the exterior paint job is arguably military in nature. 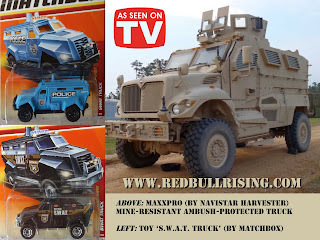 In 2011, the first Matchbox versions of a Matchbox "SWAT Truck," apparently inspired by the MaxxPro silhouette, were first available in either black-and-white or powder-blue law-enforcement livery. No camouflage in sight. The MaxxPro-like design also appeared later in fire-engine red, as part of an Matchbox "MBX Airport" series. I still say: If you need an M-RAP truck to carry your baggage, you're flying out of the wrong airports. Some of the doubt and debate about U.S. military acquisitions strategy involves whether or not M-RAP trucks were good investments. 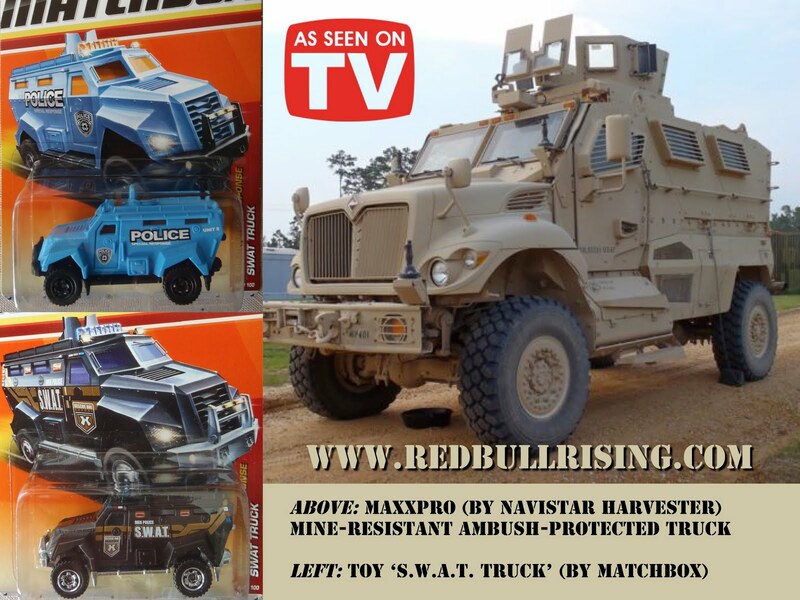 Some people argue that M-RAP trucks may or may not have saved lives. Or that they pushed troops into a hunkered-and-bunkered mindset that was contrary to counterinsurgency ("COIN") and advise-and-assist practices. In terms of sharing risks and hardships, or developing face-to-face relationships, after all, it's hard to get Afghan civilians and soldiers to take you seriously if you're sitting in a bomb-proof truck. Still, no other U.S. weapon design better exemplifies my era's ground conflict in Afghanistan than the M-ATV. I may not be able to put an M-RAP in my garage, but I can sock one away in my war-toy chest. In fact, I bought three. Because it's never too early to teach your kids about good convoy operations. It's a jungle out there. A 45-image traveling mural underwritten by the American Friends Service Committee (A.F.S.C.) travels to Des Moines Social Club, 400 Walnut, Des Moines, Iowa from Mon. Oct. 15 to Fri., Oct. 19. The "Windows and Mirrors" exhibit is centered on a traveling mosaic of 4-by-6-foot images, each created by youth or adult artists, which are collectively presented as a mural. Each image addresses war seen through civilian eyes. A concurrent series of presentations, readings, and discussions will be conducted nightly. The AFSC is a "Quaker organization that includes people of various faiths who are committed to social justice, peace, and humanitarian service." The Des Moines Social club is an organization that advocates social and economic change through the arts. A 3-minute video of the exhibit is available here. A gallery of some of the artwork is available here, including detailed titles and descriptions of each work, as well as artists' biographies. Mon., Oct. 15, 7 p.m.: Opening reception, introduction to the exhibit, poetry readings. Tues., Oct. 16, 7 p.m.: Afghanistan war via Des Moines Register photography. Wed., Oct. 17, 6:30 p.m.: Dramatic reading: "The Great Game." 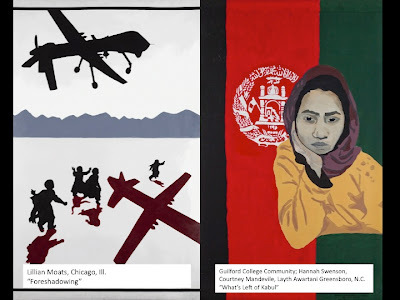 Thurs., Oct. 18, 7 p.m.: Forum on the human cost of war: "the toll on those fighting it, civilians in the way of it, and communities paying for it." Fri., Oct. 19, 7 p.m.: A Buddhist perspective on violence with Charlie Day. A Sept. 10, 2012 Iowa Public Radio interview regarding the Des Moines exhibit is available here. 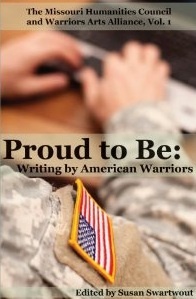 The poetry and prose of more than than 50 military veterans will be featured in an anthology titled "Proud to Be: Writing by American Warriors" to be released Nov. 1, 2012 by the Southeast Missouri State University Press. The $15 trade paperback can be pre-ordered on Amazon here. The project was undertaken with assistance from the Missouri Humanities Council (M.H.C.) and the Warriors Arts Alliance, the latter a non-profit organization dedicated to building communication and understanding between veterans, families, and communities through creative writing and visual arts. Results from a concurrent contest resulted in $250 awards each in fiction, non-fiction, and poetry categories. The contest and anthology were earlier attempted in 2011, under the heading of the "Missouri Warrior Writers Project." Winner: “First Day at An Khe” by Monty Joynes, Boone, N.C.
“Remembering Cu Chi” by Edie Cottrell, Piedmont, Calif.
“Tap Shoes” by Ryan Smithson, Schenectady, N.Y. Winner: “Rock Happy 1944-45″ by Paul C. Mims, West Chester, Pa.
“Sadr City” by Jarrod L. Taylor, Mattoon, Ill.
“Desert Snow” by Jimmy Castellanos, New York, N.Y. Winner: “Baring the Trees” by Gerardo Mena, Columbia, Mo. “Rewind” by Carol Alexander, New York, N.Y.
“Desert Moon” by Bill Glose, Poquoson, Va.
Additionally, a special recognition of a Missouri writer was awarded to Jay Harden, O'Fallon, Mo. by the Missouri Humanities Council board of directors, for his slice-of-life story titled "Between Wives." A full list of contributors to the anthology is available here. Should the publication prove successful, organizers plan a second volume in 2013. To help celebrate the anthology's publication, an evening of readings from the book will hosted by the St. Louis Poetry Center is planned for Nov. 27, 7:30 to 9:30 p.m., The Focal Point events center, 2720 Sutton, Maplewood, Mo. 63143. In World War II, Bill Baker of Indianapolis, Ind. was a member of the 185th Field Artillery (185th F.A.). He had been a switchboard operator for a newspaper company when he voluntarily enlisted in the Army. "I figured, 'Well, I'll try something similar,'" he says. He ended up in Army communications, someone trained to install and maintain field telephones. Baker started his Army career at Camp Crowder, Mo. "There, they were asking people to join the Air Force. I had always, as a kid, wanted to do that. I admired those guys and their planes. I passed the test, and eventually got down there to Kelly Field. I washed out, much to my chagrin. I had some health problems—sinuses, and you can't have problems with that up in the air—and so they sent me back to the Signal Corps. I got overseas in 27 days—in a ship packed with guys, unbelievable situation, ran out of water, didn't know where I was going—and I found myself in Italy." "They needed someone up there on the line," he says, "so they sent me up there to the 34th Infantry ... Great bunch of guys. I was a wireman, so they put me on the line with the [Forward Observers]. That's where I spent all my time. Luckily, I survived." Baker left the service in 1945 as a staff sergeant, a section chief in the 185th FA. There are hundreds of stories like Baker's, but fewer every year. More than 60 citizen-soldiers, veterans, and family members of the 34th Infantry Division Association attended the organization's 65th Annual Reunion last weekend, Oct. 5-6, 2012. The association's Des Moines Chapter hosted this year's event. Bill Baker and Randy "Sherpa" Brown. At the "Gathering of Red Bulls"—a Friday-morning reunion tradition in which attendees informally introduce themselves and tell stories—the energy in the room feels a little diminished. The spark is still there, but it's getting harder to stoke the old fires. This is the first reunion that Baker has attended. There are a handful of younger Red Bull soldiers who are also present, but, as a whole, the herd is pretty gray. Iraq- and Afghan-era soldiers and veterans who might be attracted by history, camaraderie, or remembrance are either unaware of the group's existence; unable to attend due to family, church, drill, and other commitments; or haven't yet been away from the Army long enough to realize they miss it. Even the original "Red Bull" soldiers of the association, some die-hards note, didn't start meeting formally until a few years after their war had ended. They're hoping that the massive and multiple "Red Bull" mobilizations of the 21st century—since 2001, there have been at least five brigade-or-higher deployments from Minnesota and Iowa, and even more smaller-sized missions—will one day result in more attendees. "Old soldiers never die," U.S. Army Gen. Douglas MacArthur told Congress before he retired, "they just fade away." So do many of their organizations. An estimated 790 World War II veterans die each day, reason enough for historians to lament over the stories that are being lost on a daily basis. As noted in an Aug. 25, 2011 newspaper article, many veterans organizations are choosing to get out of the reunion business. 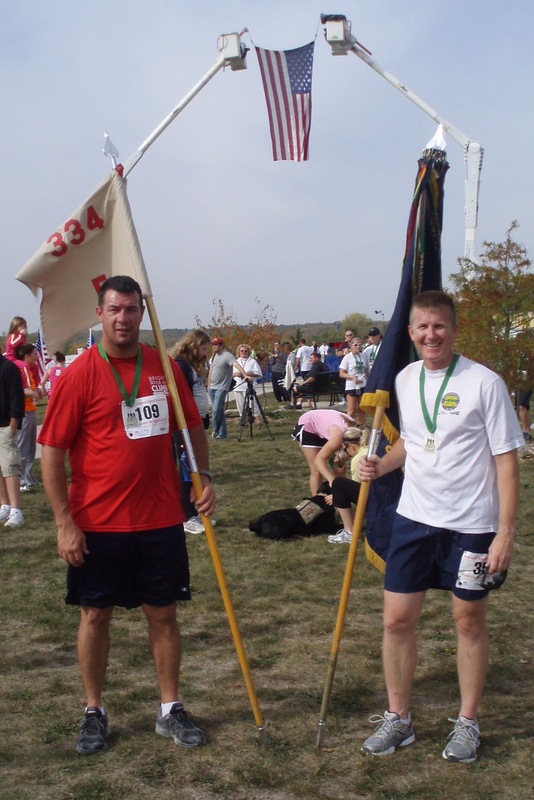 The alumni of the 84th Infantry "Railsplitters" Division, for example, decided that 2011's event would be their last. Recently, the national U.S. Submarine Veterans of World War II took similar action. Even the 38-year-old Tri-State Chapter of the 34th Inf. Div. Association has decided to dissolve. 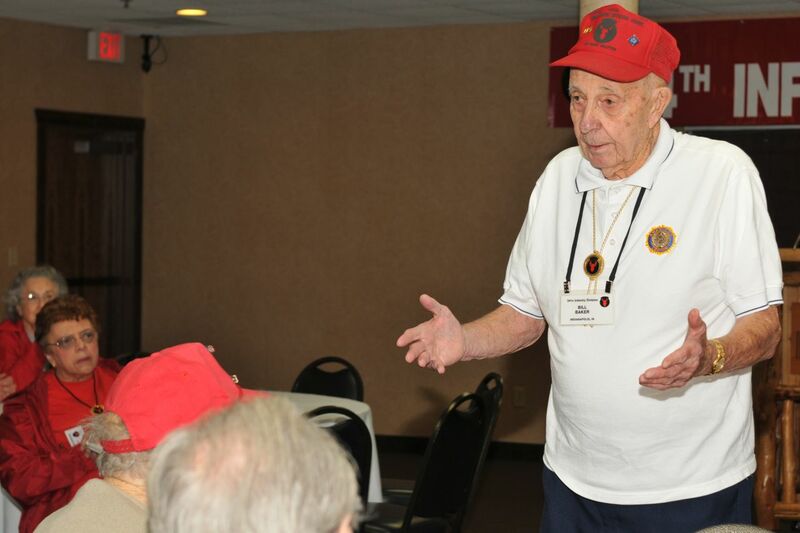 Only three WWII-era veterans attended the chapter's reunion last summer. The 76 Tri-State members, dispersed across states east of the Mississippi River, will become part of the association's at-large national membership in late 2012 or early 2013. The national Red Bull association, for now, seems healthy enough. There are 759 members, of which 390 are "life" members. The membership dues are kept low to encourage membership, but barely cover costs. In the past year, the organization operated at a slight loss. There's still money in the checking account, however, and savings enough for a rainy day. The group doesn't over-exert itself. It holds an annual national reunion, and sends memorial wreaths and flowers to three overseas cemeteries. It maintains a website, and sends out newsletter three or four times a year. So, while there's concern about the future of the organization, hope is still a viable course of action. The Red Bull's historically midwestern roots, after all, continue to result in new potential members. Unlike units that disappeared when the Army downsized after World War II, the Red Bull Division continues as an actively drilling and deploying entity. (Granted, the patch did go away between 1963 and 1991, during which time many Iowa and Minnesota National Guard soldiers were part of the 47th Infantry "Viking" Division.) Fathers, sons, mothers, and daughters continue to join and serve in Red Bull patch-wearing units in Minnesota, Iowa, and North Dakota, as well as affiliated brigades in Idaho and Wisconsin. Maj. Gen. Richard C. Nash, the adjutant general of the state of Minnesota and a former Red Bull division and brigade commander, has recently encouraged the creation of a new Minnesota-based chapter of the 34th Inf. Div. Association. A list of objectives found in 34th Inf. Div. Association's by-laws starts with this mission: "To foster and perpetuate the camaraderie of brothers-in-arms of those who have served with the 34th Infantry Division since its organization." There may be a laundry list of projects to do in the future, given sufficient time, energy, and money—history books and workshops, monuments and movies, heritage tours and museum displays—but all things flow from this first statement of purpose. [W]hen we gather, the discussion will eventually return to the disparity in how the greatest generation and the latest generation of veterans cope with the after-effects of combat. The WW2 vets wonder why they could go off and beat Hitler with his tanks, Luftwaffe, and naval vessels, and come home emotionally fine. Why, they ask, are my peers, who are fighting a ragtag band of Taliban with rusty rifles and homemade booby traps, coming home with PTSD and other mental health problems in much higher numbers? It was during one of these very discussions that a regular attendee at our reunion, a WW2 vet we call Shorty, put a big crack in the stoic mythology of WW2 veterans unencumbered by the ghosts of war. 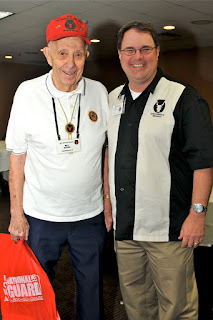 We knew Shorty had been battling a handful of debilitating medical ailments for years, and it impressed everyone that he still had the stamina to travel across the country every year to reunite with his wartime buddies. But for me, what stood out most was Shorty’s example of resilience; a man who stared down terminal illness, the German Army, and the equally formidable ghosts of war, and lived to tell the tale. Bob’s kind ear and understanding were a lifesaver. We swapped stories and I peppered him with hard questions and listened closely to his hard answers and advice. Here’s a representative sample off the top of my head. As more old soldiers fade away, experiences such as those of Tupper and Farwell will become all the more rare. That's too bad, because no one can talk to a soldier like another soldier. Military alumni associations aren't the VA Medical Center. They're not the local VFW or American Legion hall. Maybe those are good things. Reunions can be safe, apolitical, multi-generational places in which to share and remember experiences. They can connect us with our collective past. They can also inspire our collective future. In a dinner speech last Saturday, Command Sgt. Major Joel Arnold, now the top enlisted soldier in the 34th Inf. Div., recalled that he had first come to a Red Bull reunion as a battalion sergeant major. 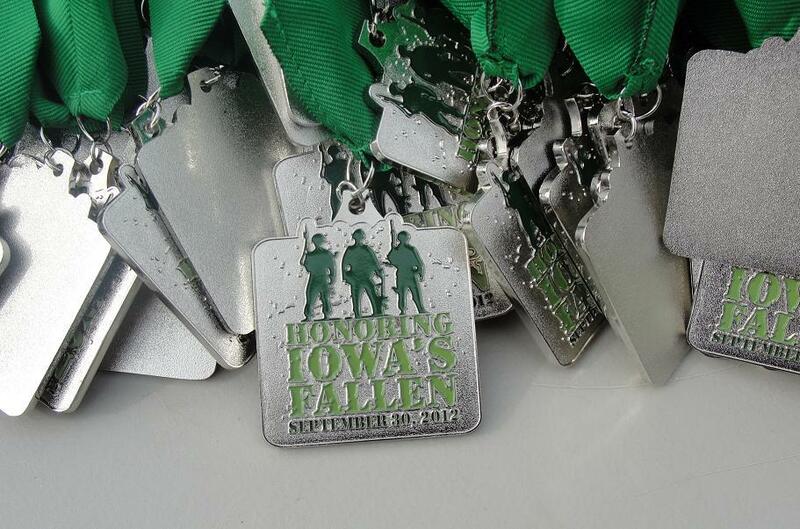 It was just prior to shipping out with Iowa's 1st Battalion, 133rd Infantry Regiment (1-133rd Inf.) in 2005. The "Ironman" battalion was soon to be part of the Minnesota National Guard's mobilization of 1st Brigade Combat Team, 34th Infantry Division (1-34th BCT). At 22 months, 16 of which were in Iraq, it would become the longest deployment of any U.S. Army unit to Iraq. "We got to meet some of these fine troopers, and especially to talk with some of the older soldiers and members of the association," says Arnold. "We really made a great connection. They really impressed upon me the importance of the Red Bull legacy. Every conversation I had with people at the time carried with it the same message: 'When you go over there, make us proud.'" "That simple message has been one that has stayed with me through two subsequent deployments to Iraq and Afghanistan, and it's a message that I've related to countless soldiers at the battalion, brigade, and now the division level," he says. Recently, I came across this quote from Michael Norman's 1990 memoir of Vietnam, "These Good Men: Friendships Forged from War." It resonates with me, because it speaks of trust, and memory, and reunion. I now know why men who have been to war yearn to reunite. Not to tell stories or look at old pictures. Not to laugh or weep. Comrades gather because they long to be with the men who once acted at their best; men who suffered and sacrificed, who were stripped of their humanity. I did not pick these men. They were delivered by fate and the military. But I know them in a way I know no other men. I have never given anyone such trust. They were willing to guard something more precious than my life. They would have carried my reputation, the memory of me. It was part of the bargain we all made, the reason we were so willing to die for one another. As long as I have my memory, I will think of them all, every day. I am sure that when I leave this world, my last thought will be of my family and my comrades. ... Such good men. 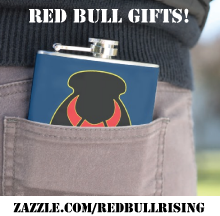 We were Red Bull soldiers once, and young . We remember each other when we were at our best, and when the times were at their worst. We tell stories about each other, and about those who are no longer with us. We compare notes between generations, but do not envy each others' experiences. You had it worse that we did, some say. It does not matter if they are right. The conversations matter more than the conclusions. Think of us all, every day. Make us proud. Victor Ian LLC, a military gaming and media company based in Colorado Springs, Colo., has announced that it will sponsor the Red Bull Rising blog starting October 2012, with the objective of expanding the blog's coverage of military writing as a vocation. The company publishes Lanterloon, an eclectic lifestyle, technology, and military blog; has a physical storefront called "Dragons and Dragoons" located in Colorado Springs; and conducts "Sangria Summit"-brand workshops and conferences for military writers. 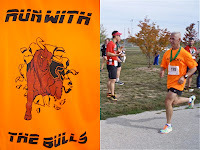 Randy "Sherpa" Brown has written the Red Bull Rising blog since December 2009, when he was scheduled to deploy to Afghanistan with the Iowa National Guard's 2nd Brigade Combat Team (B.C.T. ), 34th Infantry "Red Bull" Division. He originally wrote under a pseudonym of "Charlie Sherpa," in part to avoid conflicts between his military and civilian roles. In his military career, Brown reported "lessons-learned" to internal military audiences. Brown is now retired from the military. In his civilian career, Brown is a freelance magazine writer and editor with specialties in architecture, history, and technology. Much of his work involves community-building and "how-to" journalism. "With Sangria Summit events, our purpose is provide both aspiring and established military writers the inspiration, motivation, and tools they need to succeed," says James Burns, co-founder of Victor Ian LLC. 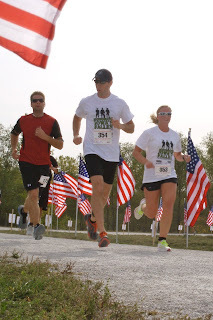 "In the Red Bull Rising blog, we saw a potential partner given its past 'writing about military writing,' as well as the author's digging in and finding out what veterans, service personnel, and mil-families are doing and thinking." The inaugural Sangria Summit conference was held in Denver, September 2012. Tentative plans have been announced for other Sangria Summit events in Colorado Springs, Colo., in May 2013 and October 2013. The May event is most likely going to be a writers' workshop, and the October event a larger-scale conference. Brown says the sponsorship will allow him to build on the blog's long-standing mission: "To remember, support, and celebrate citizen-soldiers past and present, as well as their families." "Documenting and sharing one's military experiences—whether for yourself, your family, or a wider audience—has always been part of the Red Bull Rising mission," he says. "This new relationship will allow me to expand the blog's coverage, and to make it more concrete: How to improve yourself as a military writer, or find new markets or styles in which to work." According to a new "Sponsors" page on the Red Bull Rising blog, "Sponsored posts will always be clearly identified. Sponsors do not have editorial input toward or review of Red Bull Rising content prior to publication. For a "Lanterloon" Facebook page, click here. For a "Dragons and Dragoons" Facebook page, click here. For a "Sangria Summit" Facebook page, click here. 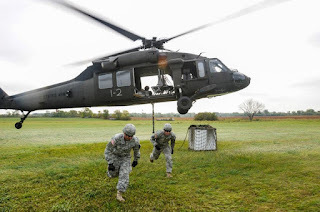 On a warm, late-summer day within the confines of the Camp Dodge Joint Maneuver Training Center near Des Moines, Iowa, three UH-60 "Black Hawk" helicopters repeatedly disappear below the tree line and just as quickly reappear with 600-pound boxes dangling from their bellies. 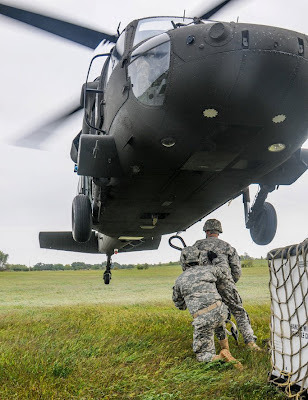 The Black Hawks, piloted and staffed by the “assault company,” of Charlie Company, 2nd Battalion, 147th Aviation Battalion (2-147th Aviation), were flying in support of the “Red Bulls,” of the Iowa National Guard's 2nd Brigade Combat Team (B.C.T. ), 34th Infantry "Red Bull" Division’s (2-34th BCT) regular monthly training. With the 2-34th BCT’s 2013 two weeks' of annual active-duty training still nine months away, this exercise is laying the groundwork for a large-scale operation spanning three locations across the Midwest: Camp Dodge, Iowa; Camp Ripley, Minn.; and Camp Gurnsey, Wyo. The Red Bull units, having returned from Afghanistan in July and August 2011, have been in the "reset" phase of the Army force generation scheme ("ARFORGEN") cycle. The ARFORGEN model ensures that units are optimally ready for deployment every five years. Reset allows soldiers who just returned from a deployment to return to and reconnect with their families, friends, and civilian employers. Soldiers also slowly return to their regular monthly drilling schedule. With the new fiscal year starting Oct. 1, 2012 however, the brigade will begin focusing on individual and small-unit skills. In later years, those skills will feed into operations involving larger-sized units. The brigade’s recent exercise focused on the basic skills necessary to plan and conduct offensive operations using helicopter-borne "air assaults," said Lt. Col. Tim Sulzner, the brigade operations officer. In March 2011, the 2-34th BCT conducted "Operation Bull Whip," the largest air-assault in Afghanistan in the 2010-2011 deployment cycle. Skills are perishable, however, particularly as soldiers promote and transfer to new positions within the 3,000-member brigade. The recent training began at the top, with the company commanders and first sergeants from the brigade’s 36 companies earning validation in air-assault and sling-load operations. The S3, or "training and operations" section, is critical in large-scale operations such as this. Not only do they schedule and monitor training within their unit and subordinate units, they also plan and schedule major movements. photo by Staff Sgt. Chad D. Nelson. In the recent training, 72 commanders and first sergeants gathered to review brigade’s new live-fire procedures, developed squad mounted/dismounted live-fire lanes, and received instruction on plan air-assault training for their units. The latter included validation of "sling-load" skills: Rigging external loads to be hooked and transported by helicopter. The soldiers operated two at a time, with one connecting the load and the other standing by to pull the first to safety in case of an emergency. “The leadership will have [noncommissioned officer and officer professional development classes] with their platoon leadership,” said Command Sgt. Maj. Willie L. Adams, senior enlisted leader for 2-34th BCT, and a Black Hawk sling-loader. He said the platoon leaders would practice—with or without Black Hawks—until they’re confident enough to train their squad leaders themselves. Motivation was high as soldiers ran to board the helicopters, sprinting away as the aircraft took off. “They did an outstanding job and these were really good events,” said Maj. James F. Avrams, Missouri Valley, Iowa, operations officer for 1-168th Inf. “I thought that it was definitely a good opportunity to do some things that most of us haven’t done before. I think that it was really overall good training,” said Capt. 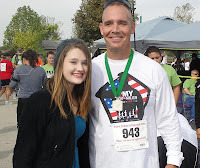 Matthew Parrino, Urbandale, Iowa, commander of Alpha Company, 1st Battalion, 133rd Infantry (1-133rd Inf.). 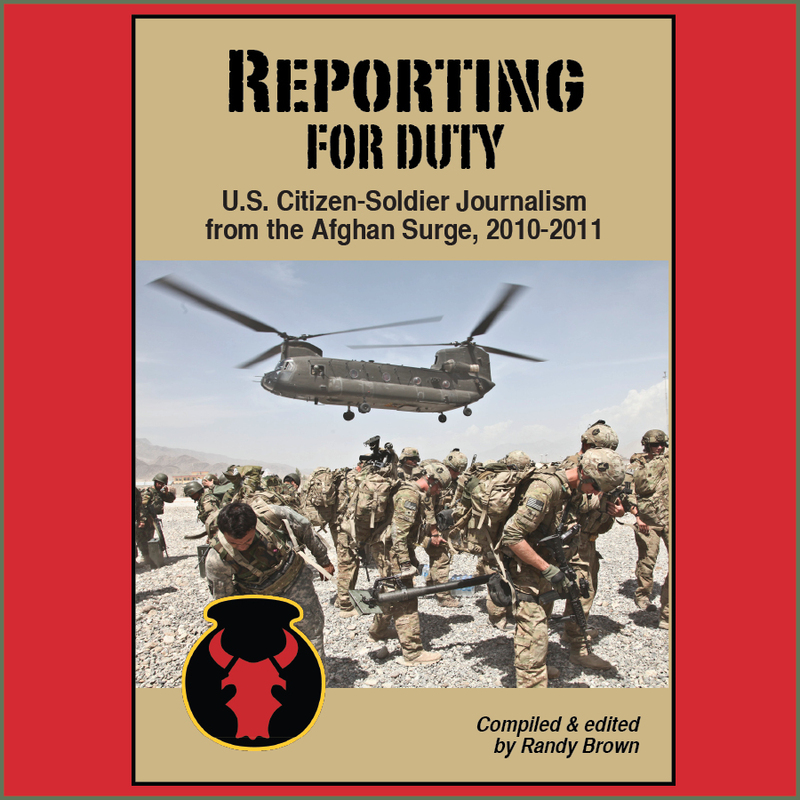 Military Reporters and Editors (M.R.E.) has announced that the Red Bull Rising blog will be recognized with the association's first-ever award for independent blogging at the group's 10th annual conference in Washington, D.C., Oct. 18-19, 2012. For a full list of MRE contest winners, click here. This year's MRE awards recognize work published or aired in 2011. Judges cited the mil-blogger's voice as "down-home storyteller and conversationalist. You can almost hear him talking to you as you read. He has wry, friendly, sometimes corny sense of humor, a deft touch for detail; insider insight and knowledge; a tender touch with conveying emotion without getting sappy; and a way of getting to the bottom of things." The winning Red Bull Rising entry may have been "Scenes from a Homecoming Ceremony," which was published on the blog on Jul. 15, 2011. The post relates anecdotes and observations from the Boone, Iowa homecoming of Headquarters and Headquarters Company, 2nd Brigade Combat Team (B.C.T. ), 34th Infantry "Red Bull" Division (2-34th BCT). A second entry, "A Hard Turn at Najil" May 17, 2011, was also cited by judges in comments. The blog post regarded a day-long visit with the troops at Alpha Company, 1st Battalion, 133rd Infantry Regiment (1-133rd Reg.) at a small Combat Operations Post ("COP") in Eastern Afghanistan. The article subsequently appeared on Garry Trudeau's/Doonesbury's "The Sandbox" on June 21, 2011. The MRE blogging award, which carries with it a $500 prize, was underwritten by Lanterloon, an online military-writers' magazine that promotes individuals' use of online media for journalistic purposes. 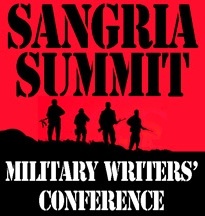 The publishers of Lanterloon also organized last month's Sangria Summit: A Military Writers' Conference, and entered into an ongoing sponsorship agreement with Red Bull Rising. The MRE mission is "to advance public understanding of the military, national security and homeland defense; to educate and share information with its members and the public on best practices, tools and techniques for such coverage; to represent the interests of working journalists to the government and military; and to assure that journalists have access to places where the U.S. military and its allies operate." Professor Ellen Shearer, co-director of the Medill National Security Journalism Initiative. Lecturer Timothy McNulty, co-director of Medill National Security Journalism Initiative. Assistant Professor Scott Anderson, interactive web producer, Medill National Security Journalism Initiative.